July is about over and we are in a heat wave. 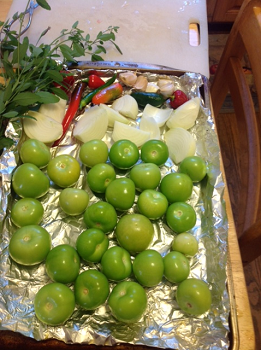 Some like it hot and some not, salsa that is. With the available fresh herbs and vegetables, it is time to bring out some recipes to put them to work. 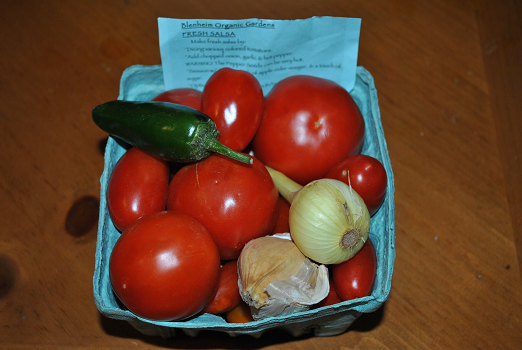 While at our local farmer’s market, at one of my stops, a savvy young man from Blenheim Organic Gardens, was selling vegetables selected to make fresh salsa all in one container. 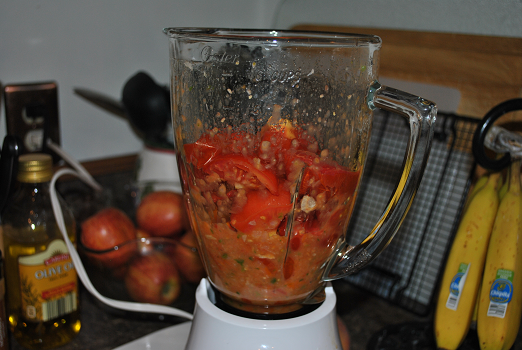 Sounds easy enough except I do not have a food processor so the blender will have to do. I asked Laurie Calloway, what I should do since she helps provide recipe articles for the magazine, her experience is way beyond mine. 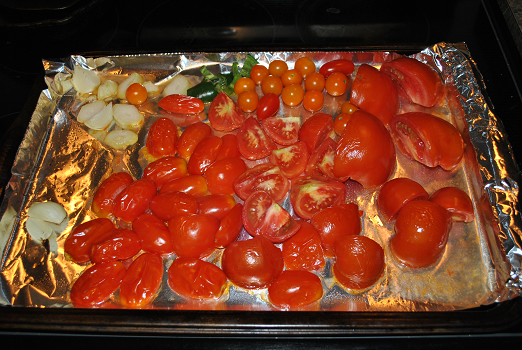 Laurie suggested to “spread the vegetables out on a tray like in this picture. I do not put oil on them, although I spray the sheet with PAM first. I roast them at 425 degrees until the skins crack and slightly char. Now that doesn’t sound too bad. I decided to give it a try. This is what I had to start with. I spread the vegetables out on the table to see just what I had. I thought about adding to them, then decided it would be best to just use what was in the container so I could evaluate what I had purchased. A quick rinse before the cutting board. 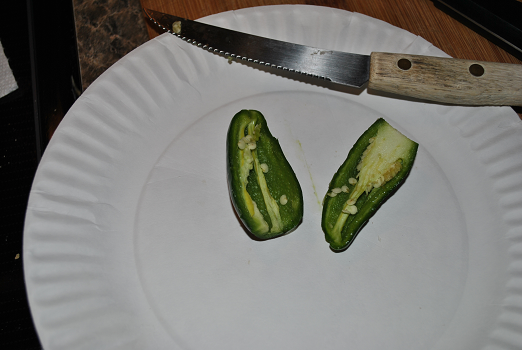 I did remove the seeds and core of the jalapeno pepper. I am not able to eat very spicy food even though Molly did her best to change that over the years, I still can’t eat as spicy as some. Some like it hot and some not. I was worried that just the one might make it too hot, but that was not the case. 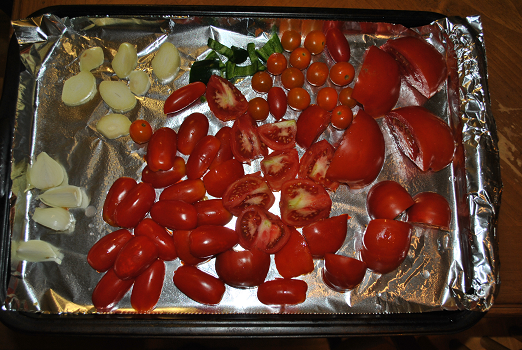 I quarter the larger tomatoes and diced the jalapeno, onion, and garlic. 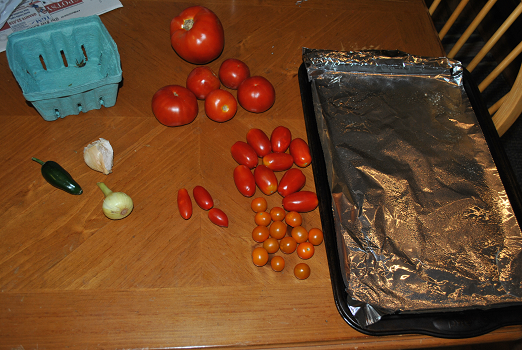 Then sprayed the foil lined cookie sheet with a no stick cooking spray and spread the vegetables out on the sheet. I had the oven preheated to 425F. For the skins to start to wrinkle took about 10 minutes at 425F. 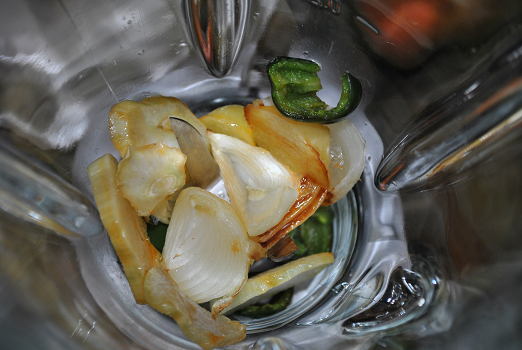 I started blending with the garlic, jalapeno and green onion. 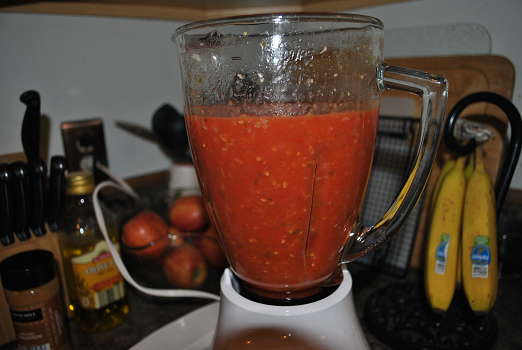 Almost done and the blender is working fine. 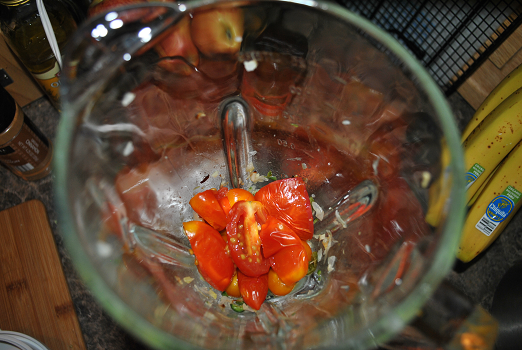 I didn’t add any other ingredients such as sea salt, vinegar or other things you might ordinarily add. I just wanted to see how the salsa tasted on its own. If I do say so myself, not bad for the first time. 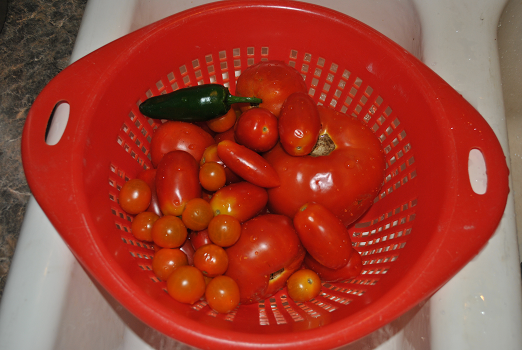 I am sure that many of you have your own salsa recipes, if you would like to send them to me please do and I will publish them to the readers.